Michel, who was produced before Special Judge Arvind Kumar, was arrested by the ED which had asked for 15-day custody of the British national. 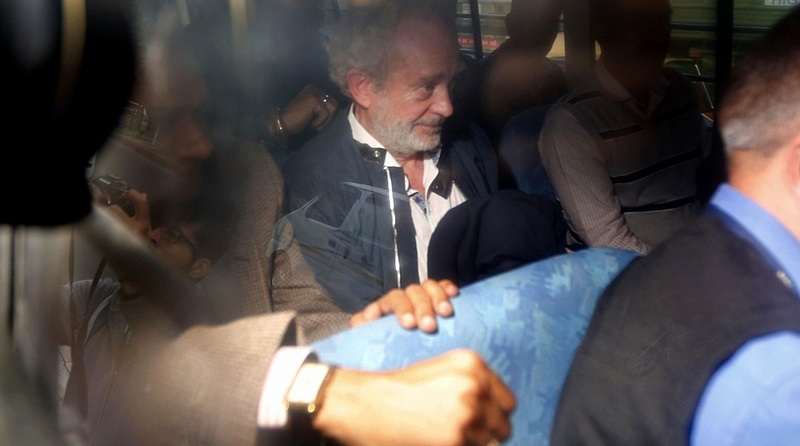 Delhi’s Patiala House Court on Saturday sent alleged middleman Christian Michel to seven-day Enforcement Directorate (ED) remand for his alleged role in the AugustaWestland VVIP chopper deal. Michel was extradited to India from the United Arab Emirates (UAE) on December 4. From the airport, he was escorted by a Delhi Police team to the CBI headquarters in south Delhi’s Lodhi Road area for interrogation over his alleged role in the purchase of 12 AW-101 VVIP choppers from AgustaWestland. The extradition has come as a major boost to the Indian agencies investigating the bribery angle in the contract. Michel is one of the three middlemen being probed in the case, besides Guido Haschke and Carlo Gerosa, by the Enforcement Directorate and the Central Bureau of Investigation (CBI). After his deportation, Special Judge Arvind Kumar had allowed the Central Bureau of Investigation (CBI) to quiz the middleman till December 10. A Red Corner Notice was issued by the Interpol which led to his arrest in Dubai in February 2017. Michel was incarcerated in Dubai since his arrest. It was alleged that he had entered into a criminal conspiracy with co-accused persons, who included the then IAF chief SP Tyagi and his family members.